Deidara is a missing-nin from Iwagakure. 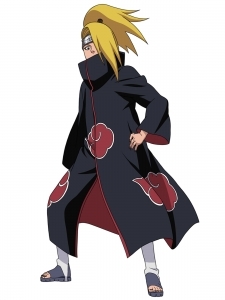 Before joining Akatsuki, Deidara was as a terrorist bomber for hire, where his work attracted the attention of Pain. Pain sent other Akatsuki members to recruit Deidara, though he refused. After being defeated by Itachi Uchiha, however, Deidara was forced to join the organization. Deidara maintained a deep loathing for Itachi from that point further and became determined to defeat him, even training one of his eyes to overcome Itachi's signature ability: genjutsu. Deidara was partnered with Sasori upon joining the organization, whose artistic ability and insight Deidara admired. 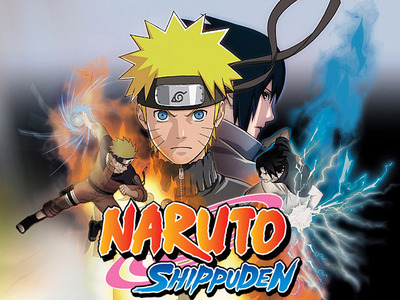 After Sasori's death Deidara is paired with Tobi whom he treats as a disciple. Despite Tobi's habit of accidentally angering Deidara, Deidara takes great care to keep Tobi out of harm's way and even dedicates his final moments to apologizing to him.